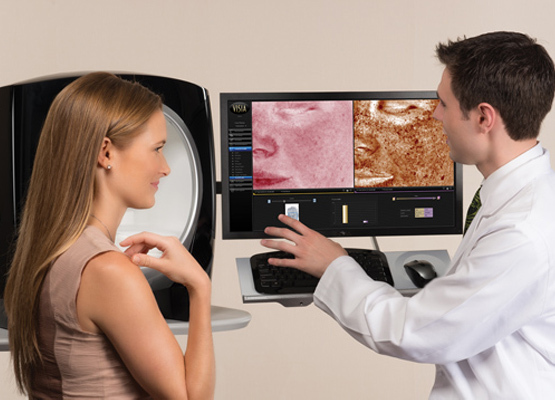 At Precision Aesthetics, we use Visia Skin Analysis to help determine the state your skin and to guide us in considering what treatment would best suit your skin type. 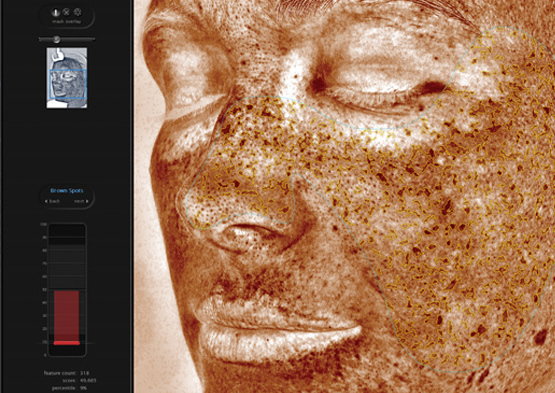 Visia photographic imaging technology can clinically measure surface and sub-surface skin conditions, clearly showing the extent of sun damage, wrinkle development, pore texture, pigmentation problems and UV spots. Visia can also grade your skin relative to your skin type and your age. 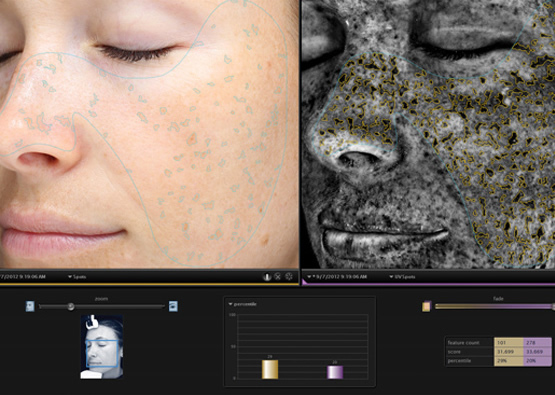 When consulting with you, we would use Visia technology to determine the current health of your skin and to assist in predicting future problems that may arise. By conducting a thorough skin analysis, we can plan a range of skin rejuvenation treatments and procedures and also check up on the effectiveness of your skin care regimen and our treatments over time. Contact us so we can work together to formulate a targeted skin treatment programme to help you look your best. Newsletter and Specials Input this code: Sign me up for the newsletter! *Disclaimer: Any information or advice published or made available through this website are not intended to replace the services of a qualified physician or those of a healthcare professional acting under a doctor’s supervision. In no way does it constitute a doctor-patient relationship. Each individual’s treatment and/or results may vary based upon the circumstances, the patient’s specific situation, as well as the healthcare provider’s medical judgement. Treatment will be based on further discussion of the patient’s specific situation, goals, risks and benefits and other relevant medical considerations. Testimonials made by any person(s) on this site are not intended to substitute for this personal discussion or evaluation and are not intended to act as a guarantee as to outcomes. Examples of treatment results on this website are not meant to convey any warranty, either express or implied, as to outcomes, promises or benefits of any treatment. A patient's decision to accept any treatment should be assessed carefully by the patient, including the risks and benefits of any procedure and taking account of discussions and assessment provided during a consultation with a healthcare professional.